The melting pot of Thailand, Bangkok is a bustling city attracting hundreds of tourists each day. 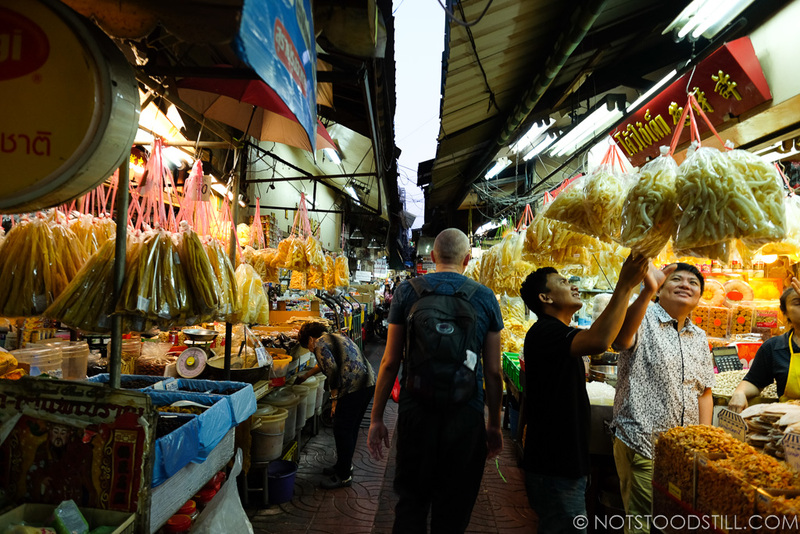 Filled with temples, new high risers, malls and street food vendors. Where old and meets new, the city still holds it’s charm despite increasing development. You can still find solace in places like the Old City – with interesting period buildings, riverside homes and quieter corners. 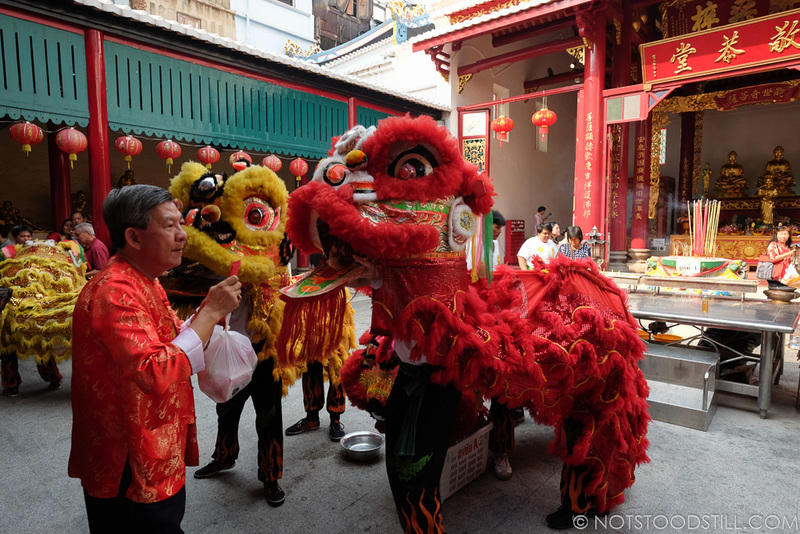 We were in Bangkok during Chinese New Year celebrations. After the long trip around Central America, we boarded our comfortable flight to Bangkok via Muscat. 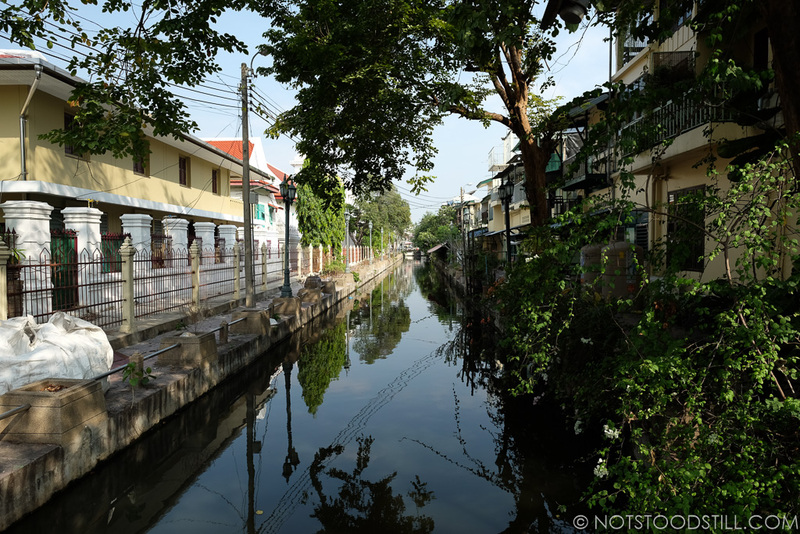 There are of course several ways to reach the city from Suvarnabhumi Airport, but after a long flight, we opted to take a taxi, rather than a train and several changes to reach our guesthouse. The taxi rank is well run, just follow the signs, print out a ticket from the booth which tells you which lane to wait at and your taxi will be there. If for whatever reason there is no taxi, wait a few minutes before getting another ticket, as sometimes someone will have pinched your ride. 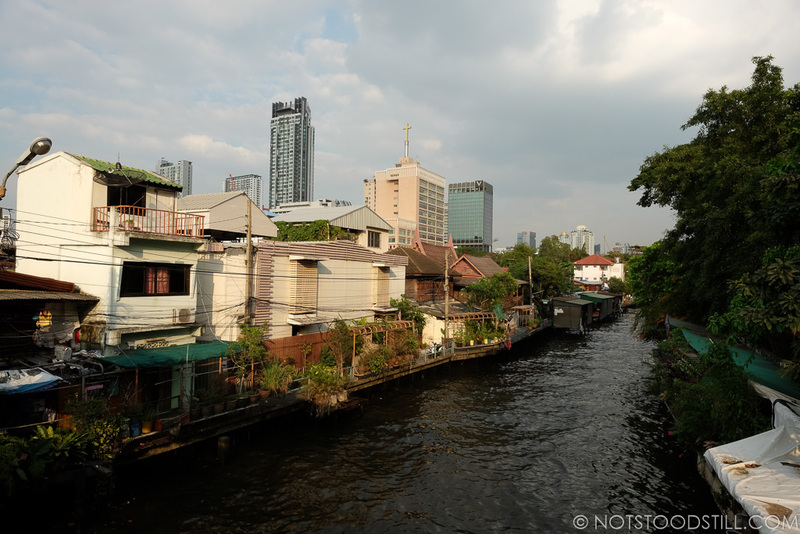 We spent a week at Tim House in Bangkok’s old town, which is nice and close to many of the attractions and far enough away from the seedier nightlife, which Bangkok has gained reputation for. The rooms here are basic, but clean and have air conditioning and good, usable WiFi. 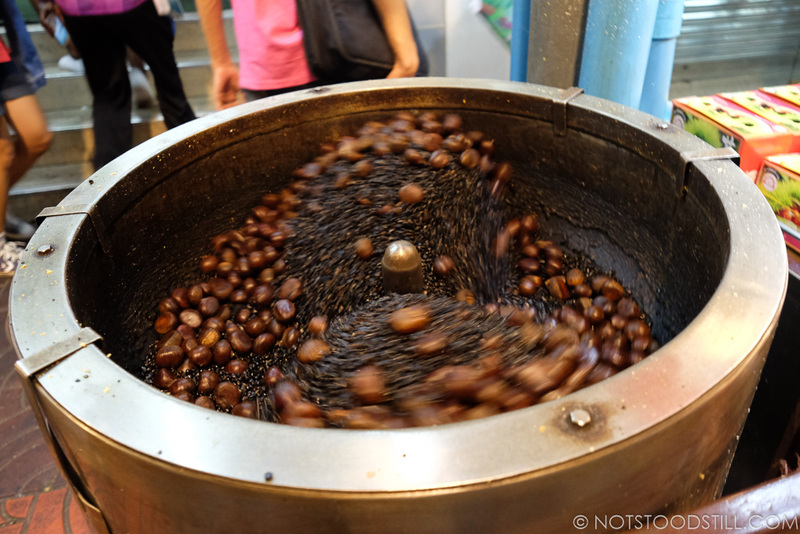 There is also a cafe and restaurant in the reception, which is reasonably priced for breakfast and simple meals. For more Bangkok Hotels, click here. 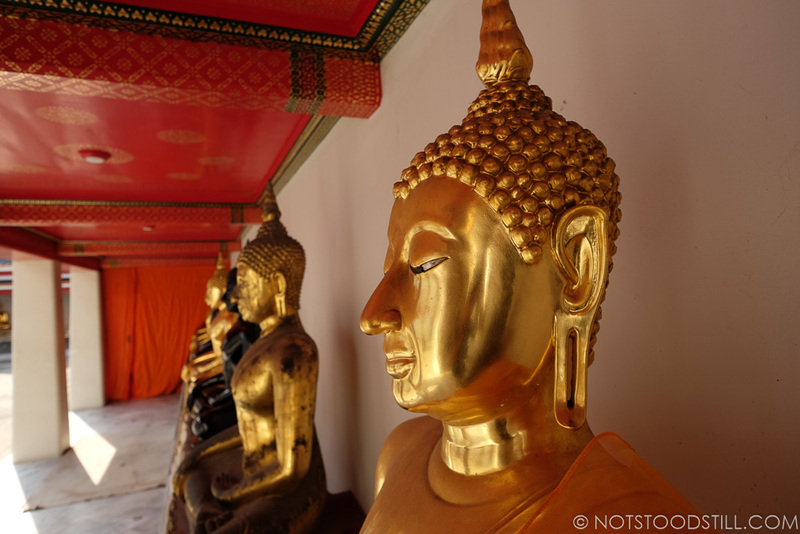 Bangkok is filled with so many beautiful temples and you could spend weeks and weeks visiting them all. Rather then have a temple burn-out, we chose the most famous. We visited the Reclining Buddha at Wat Pho, which costs 100 baht to access and includes a small bottle of water from a tent by the entrance to the Buddha. The site itself is beautiful and you can spend a few hours wandering around, sitting under trees and taking in the stunning buildings. Entry to see the huge Buddha is busy and you should wear conservative clothes, meaning no shorts and shoulders to be covered. T-shirts are fine, but of course no strappy tops. You can borrow a jacket to cover yourself if you have not dressed appropriately, but out of respect we went covered. As you walk around the Buddha, you can change 20 baht for coins to drop into the bowls alongside his back to bring good fortune. 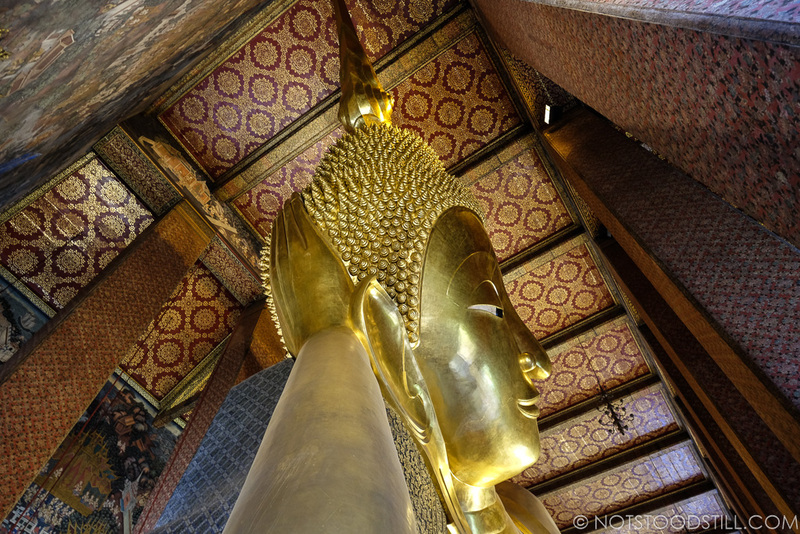 Being the main focus of Wat Pho, the hall is busy, but you can take some good photos if you are patient. 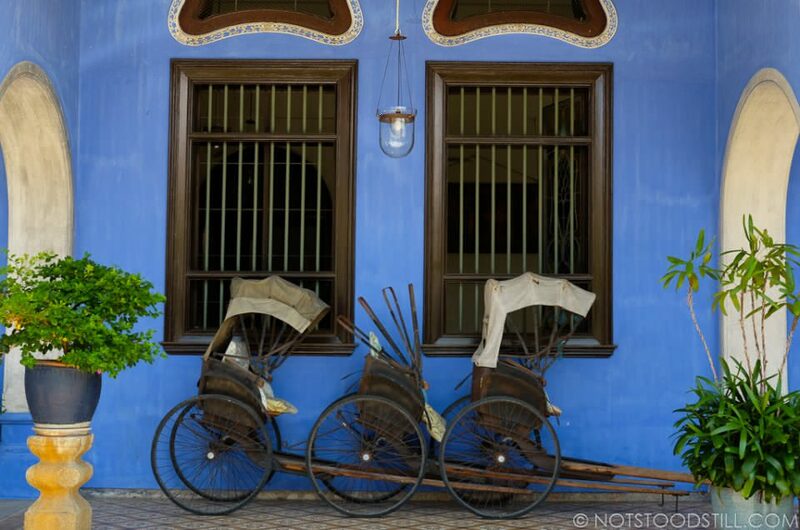 Jim Thomson House is a well-preserved traditional Thai house with a western twist. 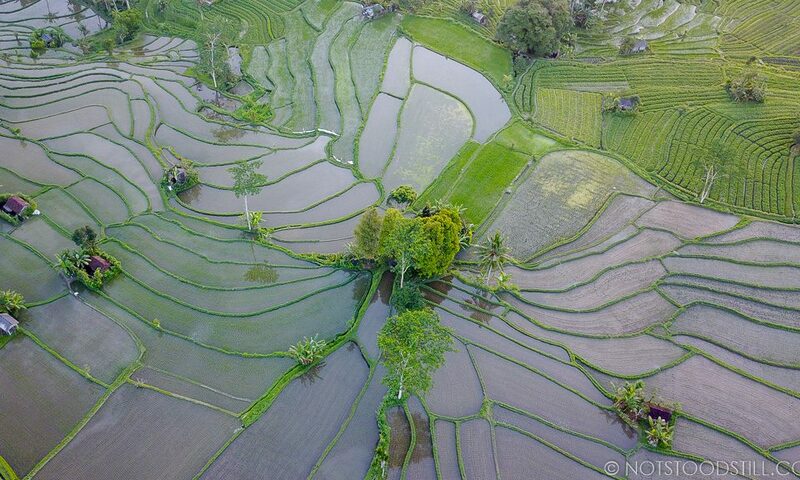 It was built by an American and houses a large collection of Thai artefacts. 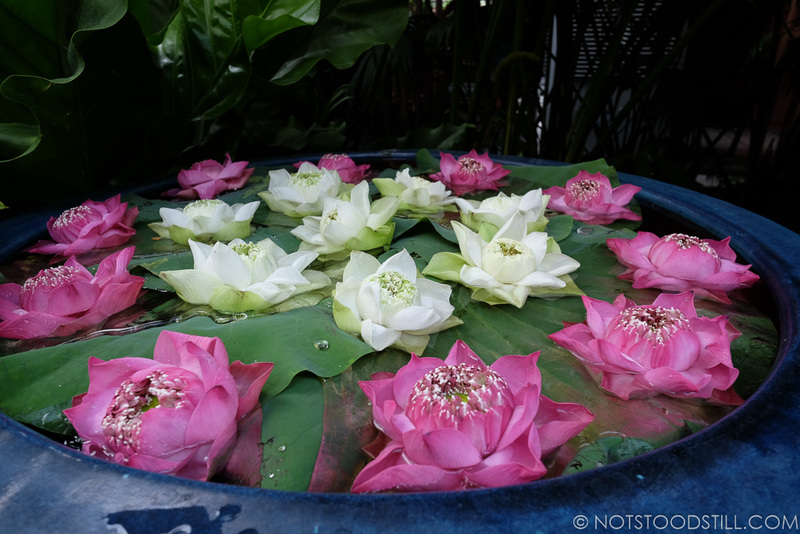 The admission of 150 baht includes a guided tour around the house itself and then you are free to relax in the garden, which is a lovely green sanctuary in central Bangkok. The Grand Palace is another incredible site to see, but unfortunately due to the King’s passing, queues were enormous with people paying their respects. We decided to miss this as it didn’t seem right to be wandering around, taking pictures at this time. 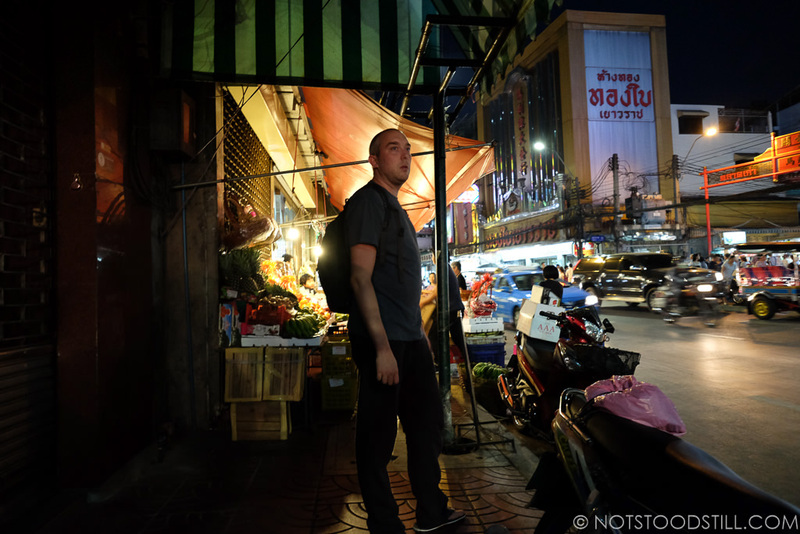 Pak Khlong Talat Flower Market is a large indoor market that sells flowers as wholesale and retail. 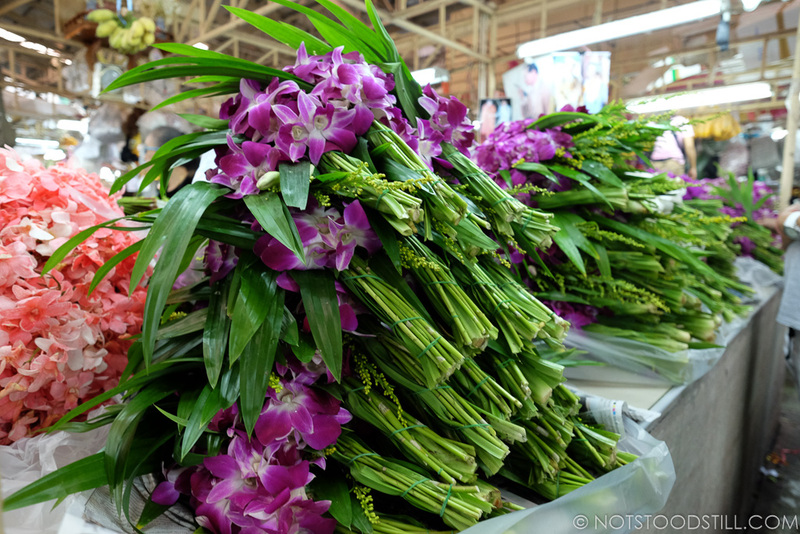 The market is filled with fresh colourful orchids and flowers, all neatly cut and presented. You will find fruits and vegetables sold here too. A nice spot for something to eat and drink is Semi Sweet cafe, which offers a good choice of breakfasts and lunches for a good price given its location close to several sights. 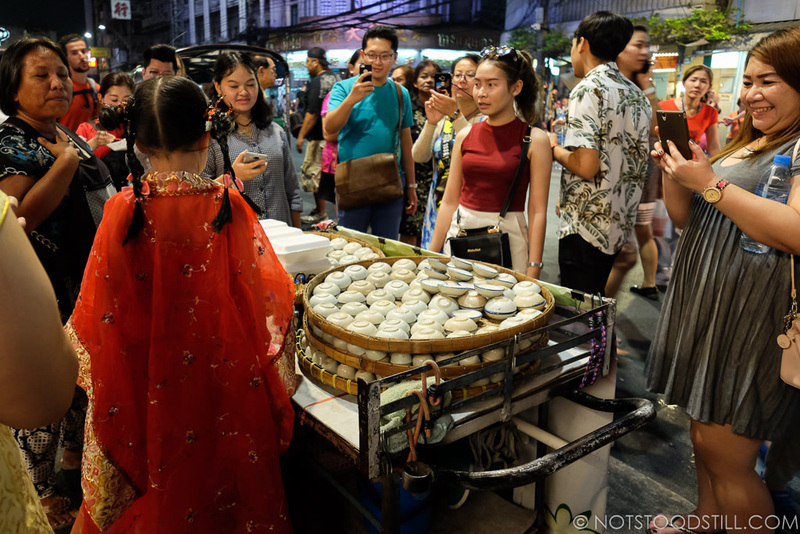 Chinatown offers stalls with outdoor seating for dinner and seafood is very fresh and won’t blow your budget for a good treat. Menus have pictures and are in English and Thai, with a few signs in Chinese too so ordering is very simple. 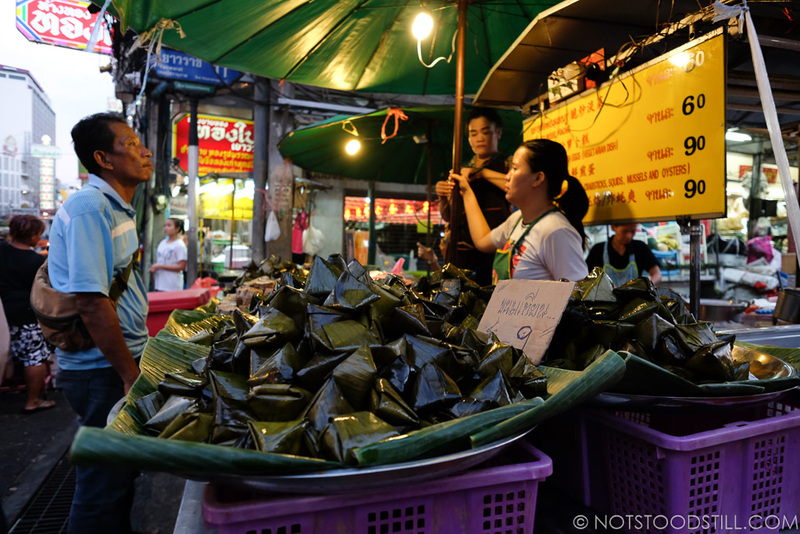 A street vendor preparing dinner, Chinatown. 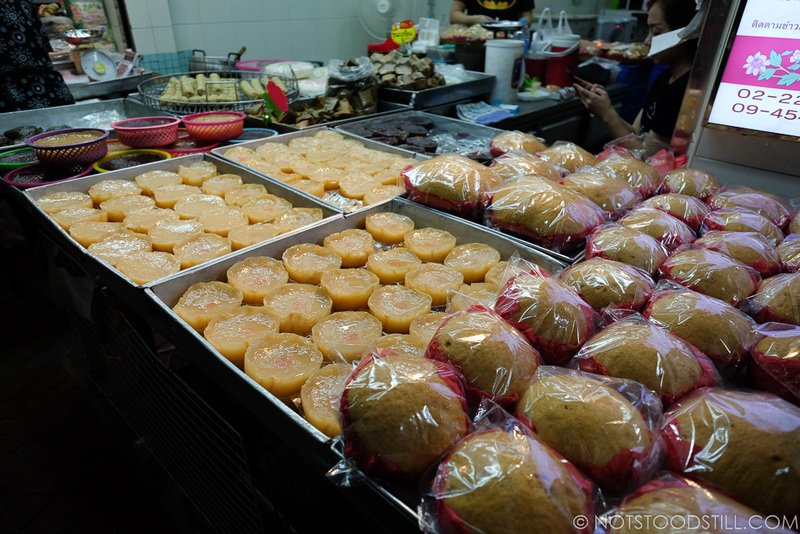 There is also a good food market filled with Chinese snacks if you want to get something on the go. The riverside offers a good few cafes for a beer or coffee and food, but if you are on a budget, pick carefully as you definitely pay for the view. 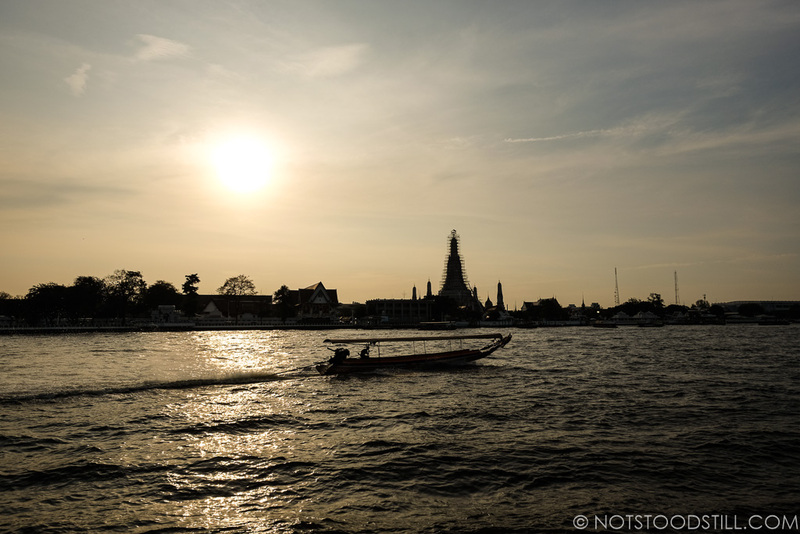 There is a small cafe called River cafe by Pak Khlong Talat pier which is good for a budget friendly snack and has nice views, especially at sunset. 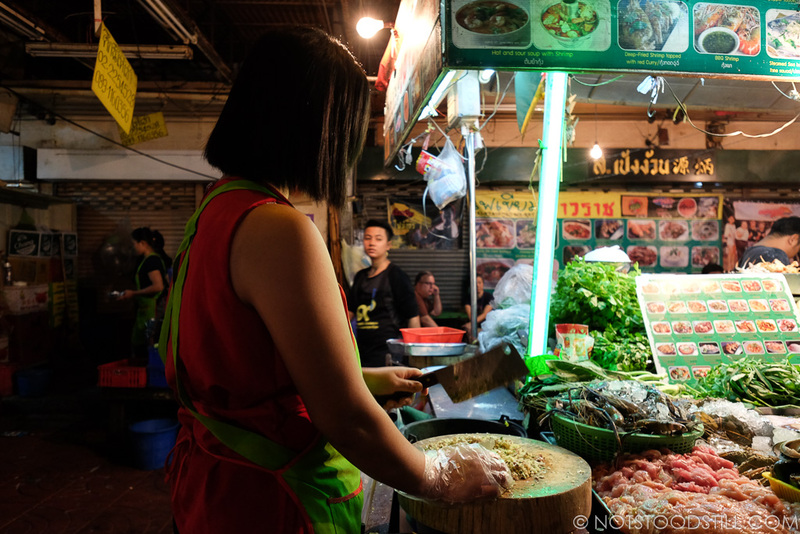 Thip Samai has some of the highest rated Pad Thai in Bangkok and is definitely worth a visit. It’s a small establishment and you will have to queue, but with plates of this delicious Thai dish starting at 60 baht, it is definitely worth it. 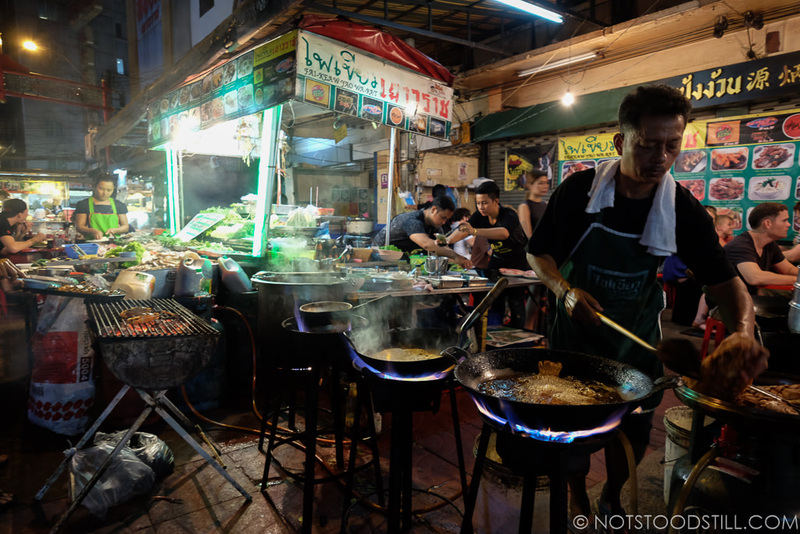 Street food is huge and the old rule stands true; eat at the busy ones! At some point you will probably end up with a traveller’s tummy, but this is one way to reduce that risk. 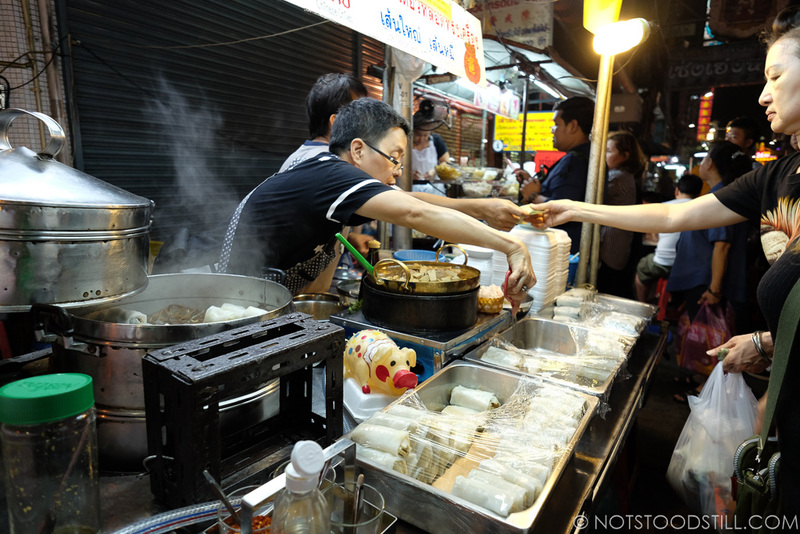 You can get tasty bowls of noodles with various topping for around 50 baht. Traffic in Bangkok can be severe especially around popular areas like Sukhumvit, factor this in when travelling e.g. to the airport. 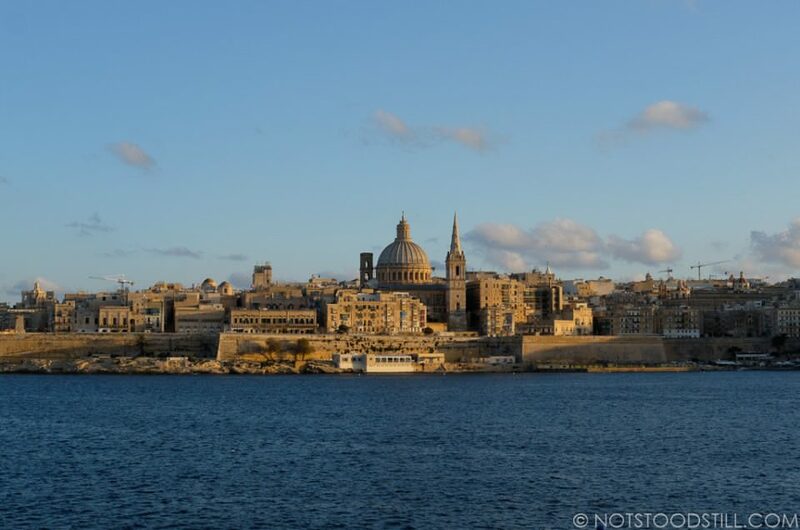 We stayed in the Old City, most of the sights are located within a short walking distance from our hotel reducing the need to rely on taxis or other transport. Reduce the need for plastic carry bags, they are given out almost everytime when shopping to the point when it becomes over the top, even for the smallest item. Help save the planet – decline when offered a bag and stuff your purchases in your backpack or reusable bag. Be respectful and thoughtful towards Thais during the year of mourning for the late King Bhumibol Adulyadej. Although events and celebrations may have toned down, the city still welcomes tourists and we didn’t experience any issues. 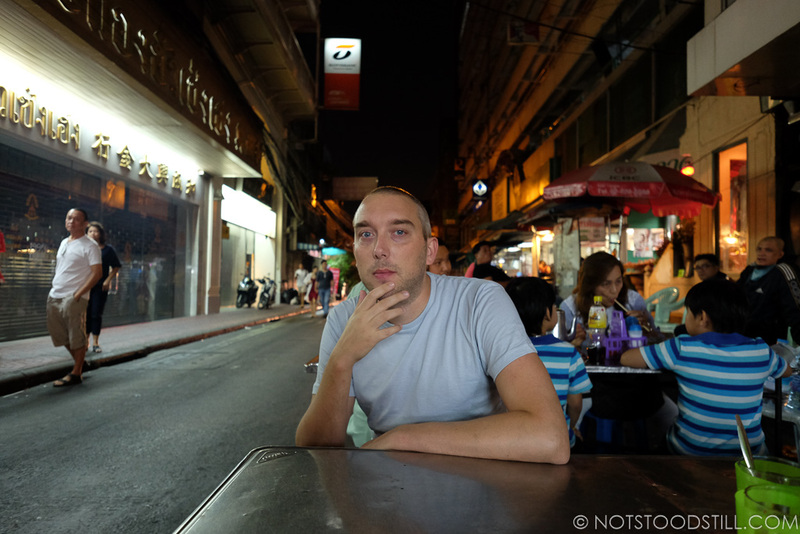 Gallery Preview, for the full Bangkok album click here.